We wanted to encourage you to attend POW Fest (Portland Women’s Film Festival) this year, March 7-10 at the Hollywood Theatre! This year’s POW Fest features an amazing program with director Penelope Spheeris (WAYNE’S WORLD, BEVERLY HILLBILLIES, SUBURBIA) as this year’s Guest of Honor. Quite a few of our own WIF members are showing work in the festival this year. Jackie Weissman, WIF Board President, will be having a Portland preview of her documentary, Rock N Roll Mamas, on opening night, Thursday, March 7. Alicia Rose is showing The Corin Tucker Band – Neskowin (Official Music Video), Jillian Starr’s animated short, Backspace will be showing, as well as Hollie Olson’s feature film, Gabby’s Wish. Please come out and support your fellow members. 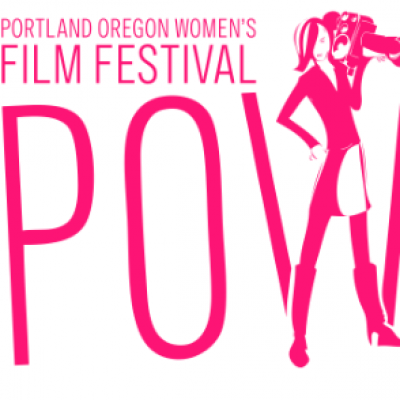 Remember, one of the perks of being a member of WIF-Portland is half price passes to POW Fest. Take advantage of this great deal and come out and see a lot of great films. Contact Tara Johnson-Medinger at tara@powfest.com to get your WIF member discount code. Our meet-up in March will be at the opening night party of POW Fest, March 7th, instead of at Magnolia’s Corner. The party takes place at 9pm at @Large Films and is free with a POW Fest ticket or pass. Zia McCabe of The Dandy Warhols, featured in Rock N Roll Mamas will be dj’ing a set, and Ms. Su’ad, also featured in Rock N Roll Mamas, will be performing a couple of songs.